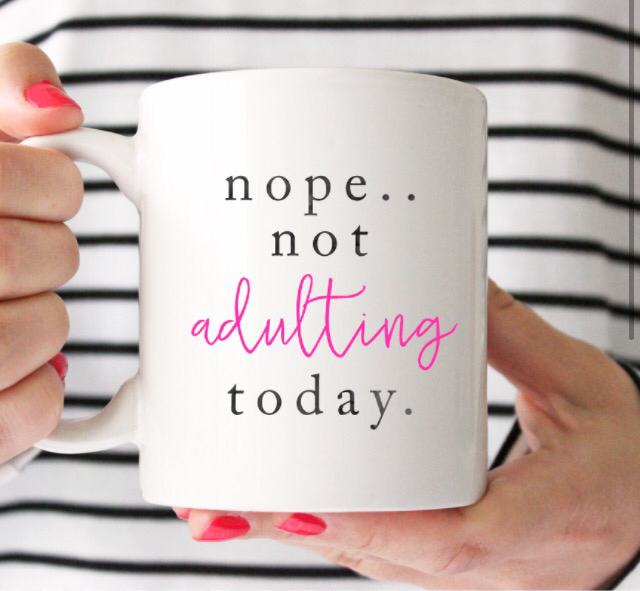 Today I want to talk to you about the struggle of adulting! For all of you who don’t know what adulting is it’s a term used to talk about doing adult activities like paying rent, doing your taxes, going to work, etc. As a newlywed there is a lot of new adulting I have to get used to! For one I need to find a job! I’ve been searching everywhere for a job but being a post grad is not easy! Working is just one of those things you have to do…adulting! One day you wake up and realize it’s time to try to be an adult! but eventually the right position will come along and adulting will get easier!….. I HOPE!